Mousetrap Machine Science Assembly featured in Elburn Herald! Happy New Year from Smarty Pants! Happy New Year from Smarty Pants, Miss Dena and our own Penny Pants! We hope to see you all again soon in 2016! 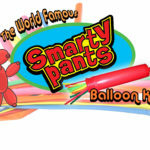 Smarty Pants visits Indian Trails Library with great Big Balloon Library Show! Mousetrap Machine Science Assembly visits Texas! Looking for a great kids Halloween event in Chicago? Mousetrap Machine Science Assembly for Illinois Elementary Schools! 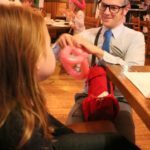 BeyondthePark.com covers the Smarty Pants Family Night!